Overall, an average mountain bike weighs around 28 pounds which is 12.7kg. This takes into account the different types such as cross country, all mountain, hardtail, full suspension, 29er, and downhill. The parts of a bike which make up the most weight are the rear wheel, the front wheel, the fork and the frame. These 4 components make up approximately 60% of the weight. Changing any one or a combination of them will make your bike heavier or lighter. 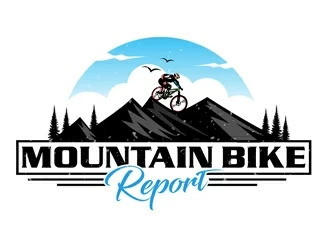 Here are some examples of mountain bike models and how much they weigh. The avg. weight of xc bikes is around 24 pounds which is 10.8kg. Weight is very important for a cross country rider because you are always trying to go faster. XC riders are racers so they have the need for speed. If you are a light rider then a lighter bike is good. But if you are a heavier rider, then a heavier bike is better, because a lighter bike will not be able to support your weight properly. When this happens your stability and handling of the bike will be reduced. Overall performance will not be good. Hardtail bikes on average are 30 pounds or 13.6kg. They do not have rear shocks, no extra tubes or pivots. This makes them lighter so you can ride up hill faster. Smooth off road and regular road are much easier to ride on with a lighter bike. 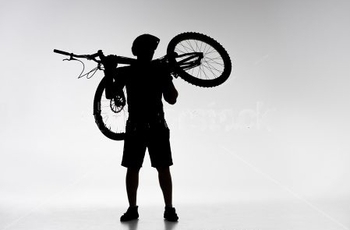 The most recognized average weight for all mountain bikes is 30 pounds which is 13.6kg. They have full-suspension which means they have added components when compared to a hardtail. So they will weigh a little more. This is so they can handle all types of terrain. Full suspension mtbs. are usually 31 pounds or 14.0kg. But this weight will vary depending on the type of bike you have. The added weight comes from the shocks and the linkage. This allows you to roll over obstacles more smoothly. Downhill bikes are on average 35 pounds which is 15.8kg. You definitely want and need the extra weight you get with front suspension. Going downhill you need stability and durability. The added pounds will help to absorb the impact of going downhill. 29er bikes are normally 39 pounds or 17.6kg. The extra weight of course comes from the larger tires. 29 inches wheels weigh around 2 pounds more than 27.5 inch wheels. The extra size and weight gives you better traction and attack angle. If you want to make your bike lighter then the easiest thing to do would be to just buy a lighter bike. But you probably love your bike and you don’t want a new one. So we will just have to make the one you have lighter. The fastest way to do this is to change the tires. This really depends on what type of bike you are starting with. If you have a 29er you can immediately take off pounds by changing to a 27.5 inch wheel. You can also get thinner tires which weigh less than thicker ones. Change the rims to carbon which are the lightest. The lightest of the rims are climbing rims. They are normally on average between 280 grams to 450 grams. They will help you to keep going up hill even when you are tired. As long as it is still comfortable you can get a lighter seat to sit on. Get lighter handlebars and stem by using carbon fiber. Change the drivetrain to a 1x. Change the material of the frame. Carbon fiber is the lightest, then titanium, aluminum, then steel. Aluminum is the most commonly used and will save you a lot of weight if you used steel. Do you really need all those gears. If you have many gears you probably have 3 chain rings which are made of heavy metal. Consider getting a compact crank which will leave you with 2 chain rings and less weight. First these types of bikes are heavier than other bikes because riders ride them off-road. In order to do this without hurting yourself or your bike larger thicker tires are needed. Riders go over dirt, rocks, roots, grass, water, sticks, and even logs. Second these all terrain bikes need extra support and stability. Therefore they have more suspension than a road bike. Going over obstacles in your path makes for a bumpy ride so shocks are needed which adds to the weight. Next in order to handle the bike while riding the fork and the frame need to be sturdy. You do not want either one to break. Even though they can be made from carbon to steel they can’t be too thin or they won’t be able to handle the impact of riding off-road. Finally, the metal parts of an all terrain bike are heavier and more durable than a road bike’s. These components include the front and rear derailleur, chain rings, the cassette, the disc brakes, and the crank arm. Overall, the answer to this is no. As long as you feel comfortable on a 30 pound bike you will be able to ride fast with it on flat ground as well as up hills. If you are racing it could be heavy, but you can always adjust which gear you are in. The weight of this bike may help you because of momentum, as well as keep you stable going over small obstacles. For racing lighter is usually better depending on your bodyweight. Thirty pounds could be a factor depending on the type of riding you are going to do with it. If you are going to be rough with the bike and go downhill and go over big drops this weight can probably handle it. Though you may be better off with something heavier. The weight of a bike does not have much effect on how fast you can go. On level ground it takes just as much energy to maintain a top speed on a 30 pound bike as it does a 25 pound bike. When mountain biking it is more important that the bike is sturdy and handles well in order to get through the trails and paths. Actual skill is the name of the game not so much how heavy or light your bike is. Now that you know the average weight of various types of mountain bicycles you have a good starting point. It is up to you to know how you will use your bike and then to try out some bikes for yourself. This way you will know whether you should ride a heavier or lighter bike as compared with the average.